Two low rise blocks with first floor balconies on the front elevations. 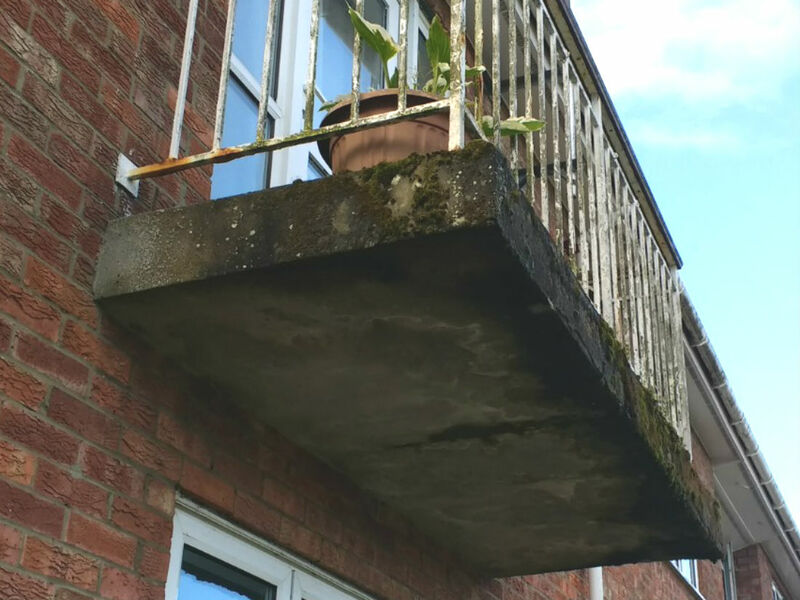 The balconies, which are of concrete beam and block construction, had a thick coat of render which had started to deteriorate due to the absence of a water resistant coating to the surface of the balconies, inadequate drainage and heavy moss growth. 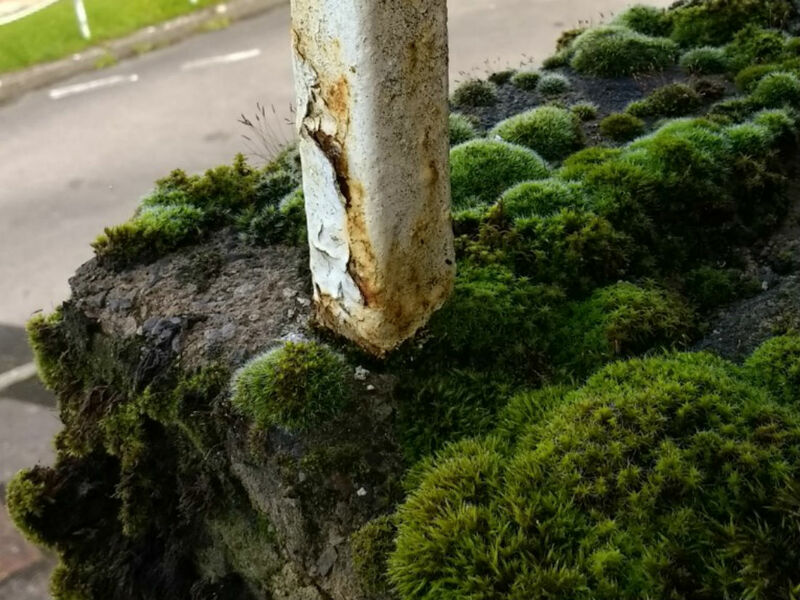 The concrete beams were also damaged, with visibly spalling concrete and exposed corroding reinforcement. 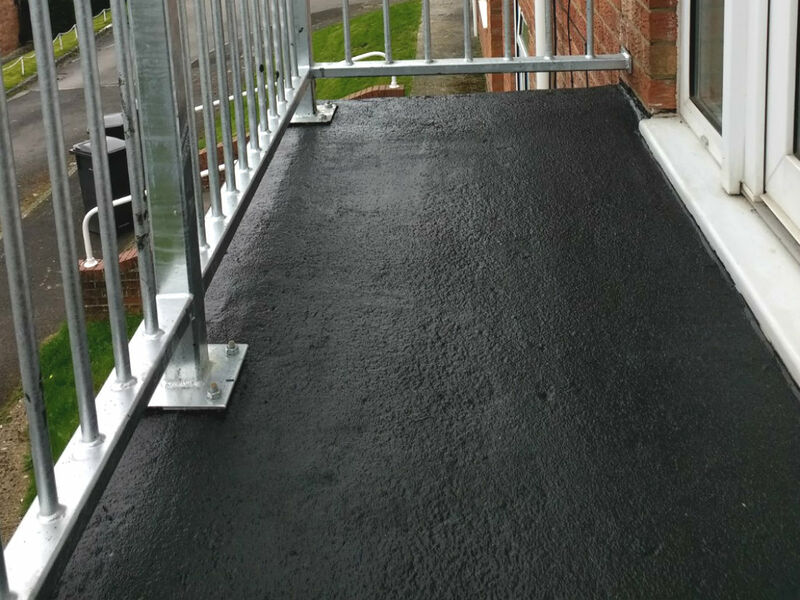 The existing handrails were in poor condition and the stanchion bases had started to corrode within the concrete. 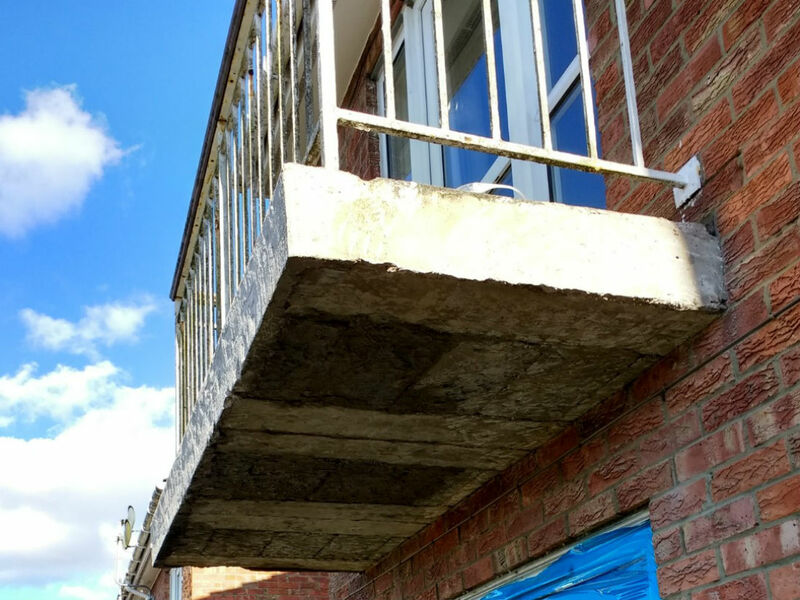 The Bersche-Rolt surveyor undertook a hammer test survey of the balconies to identify the full extent of where the render had debonded and the concrete had started to spall. Carbonation and chloride tests were also carried out, in addition to an inspection of the handrails and corroding stanchion bases. 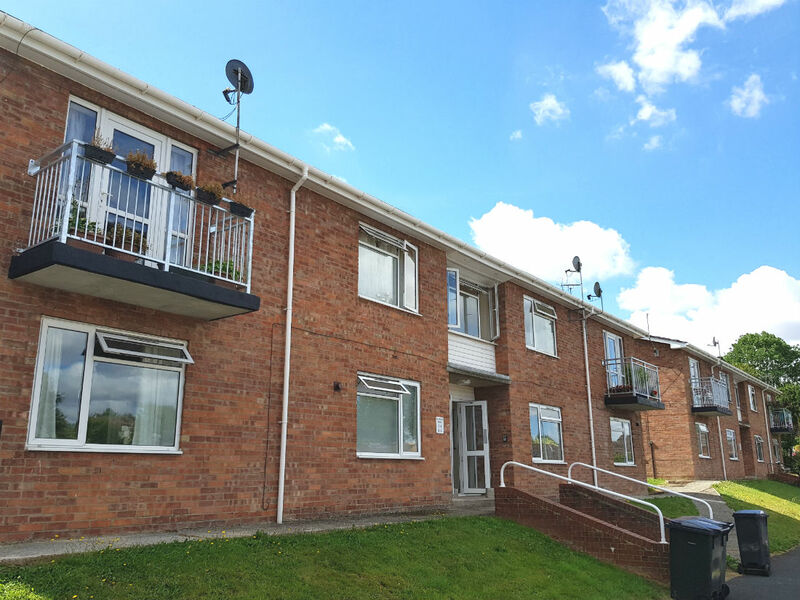 Bersche-Rolt then designed and implemented a repair scheme, which allowed for removing the render, installing a new drip detail and carrying out concrete repairs. 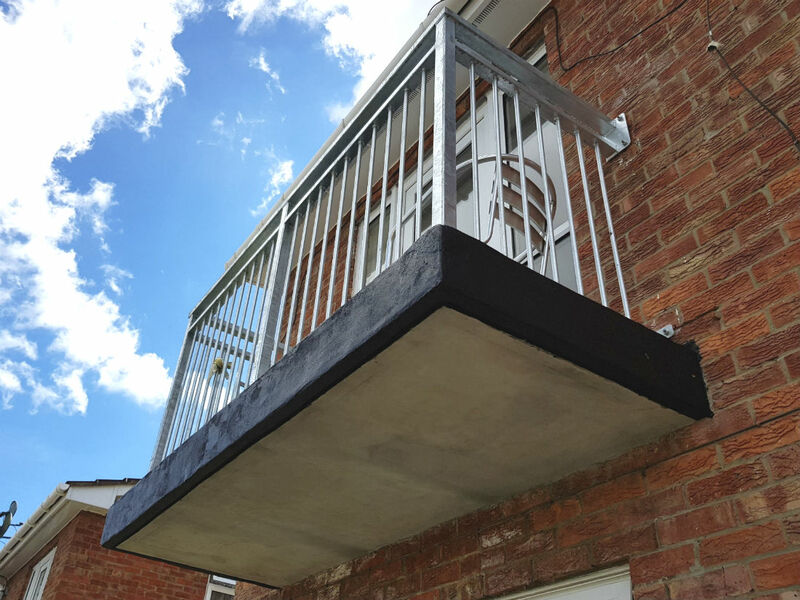 A fairing coat was then applied to the balcony soffits and slab edges, with a water resistant non-slip coating to the balcony decks and the installation of new galvanised steel handrails.